Today, March 16th, around 7am (Beijing time), a Tibetan monk self immolated outside a monastery (Chinese: Xiade Monastery) in Tsekhog in Malho (Chinese: Huangnan Tibetan Autonomous Prefecture, Qinghai); Around 11:30am in Amdo Ngaba (Chinese: Aba, Sichuan), a monk from the Kirti Temple protested by setting himself ablaze. His name is Lobsang Palden (洛桑华旦). He’s in his 21’s. Today, March 16th, is the sixth anniversary when armed Chinese military police shot dead scores of Tibetan protesters in Amdo Ngaba in 2008. 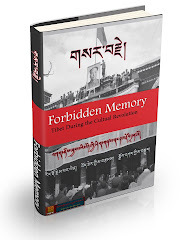 Since then, Tibetans name March 16th “the Ngaba Massacre Day”. Since the first self-immolation inside Tibet on February 27th, 2009, when Tapey（ བཀྲ་བྷེ། , 扎白), a monk from the Kirti Temple set himself alight in protest against the cancellation of a prayer service to commemorate the first anniversary of the first self immolation, monks from the Kirti Monastery Lobsang Phuntsok (བློ་བཟང་ཕུན་ཚོགས། 洛桑彭措), Lobsang Tsultrim (བློ་བཟང་ཚུལ་ཁྲིམས།，洛桑次成,中国官方写罗让泽周) and Lobsang Thokmey (བློ་བཟང་ཐོགས་མེད། 洛桑妥美) sacrificed their lives in self immolations one after another. Lobsang Palden (洛桑华旦), the monk who self immolated today set himself ablaze on the very site where Tapey, the first Tibetan who self immolated in the movement in Tibet. The site is the main road in Ngaba, dubbed as the “Heroes’ Street” by local Tibetans because more than a dozen Tibetans have self immolated here. The name of the street has been spread to the whole Tibet. Lobsang Palden was badly burnt and was taken away by the police. His whereabouts are unknown. 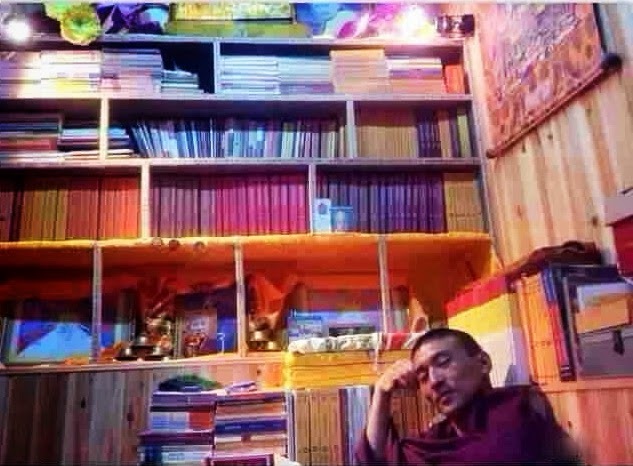 Lobsang Palden left a letter to his family and fellow monks before his self immolation. The main content is about his gratitude to his mother for bringing him up. He wrote that he would always do kind deeds for others and work on the unity among nationalities. He stressed the importance of unity with Han Chinese neighbors. He wrote that only when both peoples benefit from each other can they co-exist. 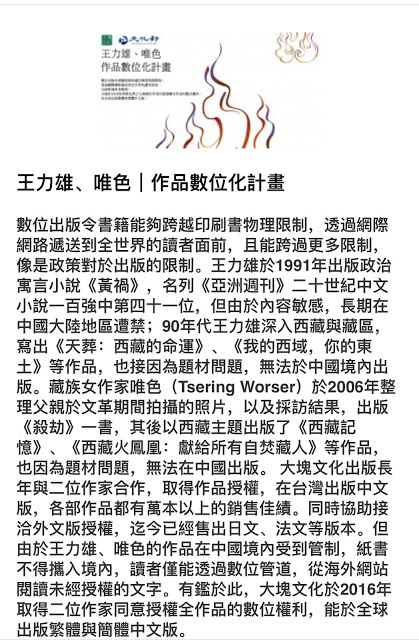 The name, age, hometown and the wellbeing of the monk from the monastery (Chinese: Xiade Temple) who self immolated in Tsekhog are still unknown. Among all the 133 Tibetans who have self immolated since 2009, 36 of them are from Ngaba, they include monks, nuns and nomads; And six self immolators were from Tsekhog, also including monks, nuns and nomads. These two photos recorded the self immolation of Lobsang Palden (洛桑华旦) this morning in Amdo Ngaba.